Happy New Year! 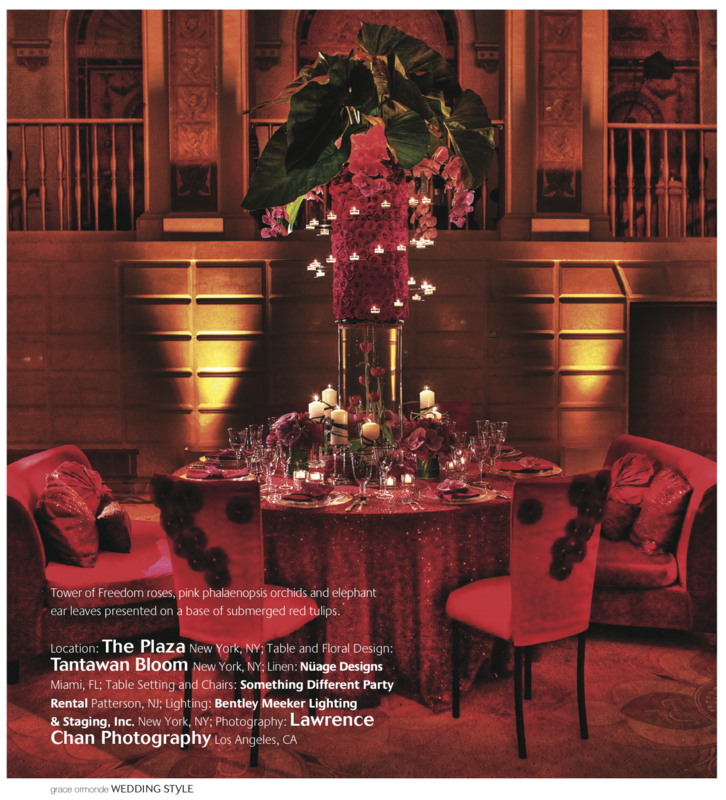 Tantawan Bloom is proud to be a Grace Ormonde Wedding Style Platinum List Member for 2011, as well as humbly honored to have been featured throughout their latest issues available at newsstands now! Please click on each feature below to read in full as captured directly from the magazine. All Wedding Style feature photos © M Bénédicte Verley, unless otherwise noted. The below features can be found in Wedding Style New England. 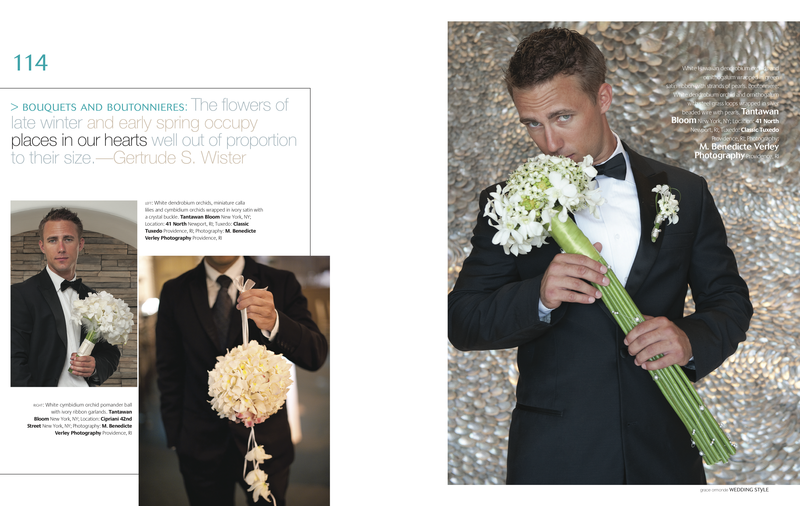 The below features can be found in Wedding Style International. Many thanks to all of the vendors that helped to make these opportunities possible. I hope 2011 is off to a great start for all! 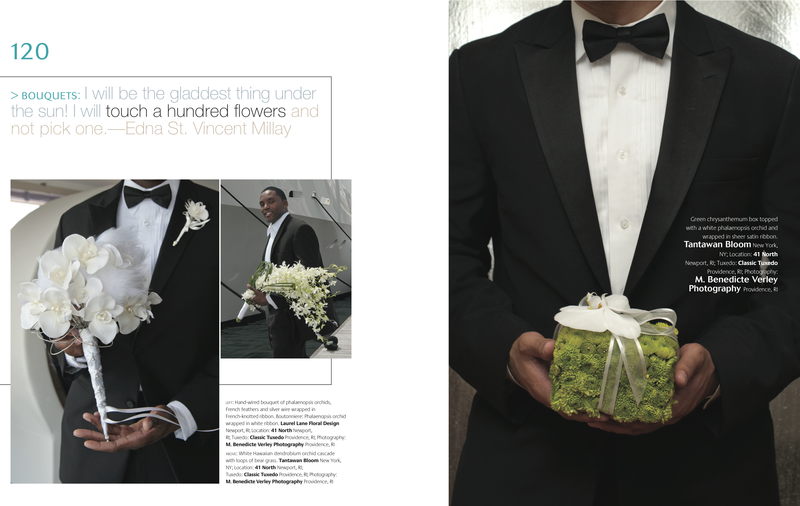 We are humbled to be a selected vendor for the 2010 Platinum List in Grace Ormonde Wedding Style Magazine (the business among the best in the country and around the world!). 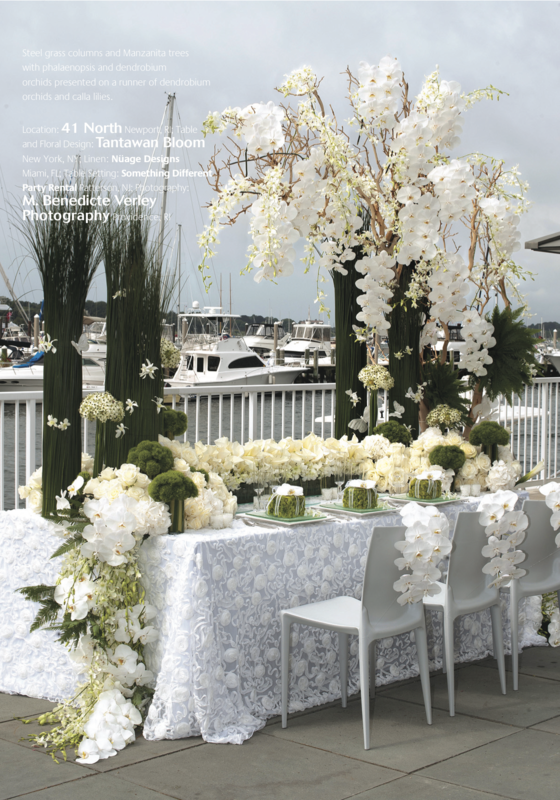 But then to also and have TWO full page spreads in the internationally-read Grace Ormonde Wedding Style Magazine (Spring/Summer 2010) as well as Grace Ormonde Wedding Style New England 2010! It is an honor. Tantawan Bloom is proud to make your vision come to life. Black glass vase topped with a cube of red wing, anthurium leaves, vanda orchids, bear grass and rose petals collared in Freedom roses. Arbor wrapped in green cymbidium orchids, roses, dahlias, ranunculus and hydrangea studded with manzanita branches, starfish and seashells and strung with white phalaenopsis orchids. White phalaenopsis orchids, miniature calla lilies, tweedy flowers, roses and seashells.